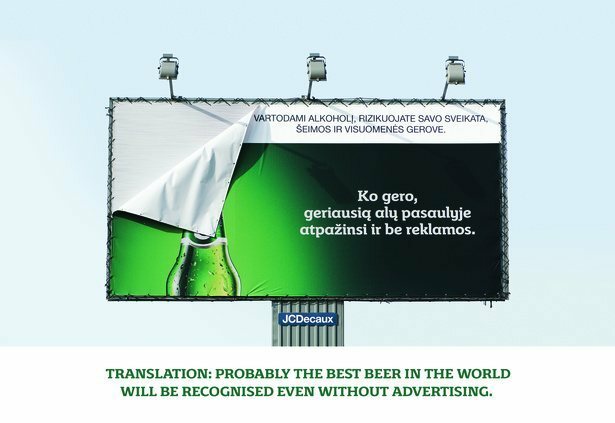 “Carslberg” is one of the best known beer brands, boasting a bold slogan “Probably the best beer in the world”. As the prohibition of alcohol advertisements was approaching we decided to be bold and say: this beer won’t need advertising. As a result labels and logos in the ads were hidden.